Firefly was featured in North West Tonight on 15th July. If you missed it see it you can see it on BBC media player. 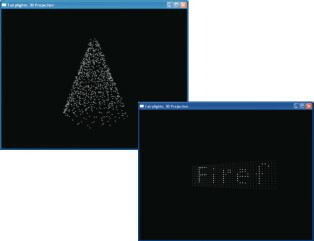 The Firefly project envisions a world where every light source has an integrated computer, capable of self-organizing with its neighbours to form two and three dimensional ad hoc displays. In essence, blurring the boundary between light and pixels. The goal of the project is to investigate the feasibility of this concept through applying autonomous computing concepts to display technology at a fundamental level. We envision the spray on display surface as the ultimate vision for Firefly! Moreover, this technology encourages incremental deployment - as more devices are deployed, the better the effect. Finally, artists see this technology as a potentially new medium, with the ad-hoc deployment being key to public engagement. We are currently active in evaluating large- scale deployments, and developing higher definition displays. Control Elements. 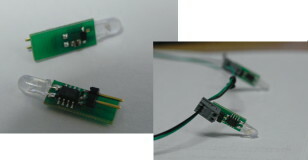 Interconnect networks of lighting elements to form larger displays. 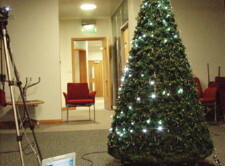 Lighting elements can be deployed in any configuration to suit the environment... Either in the field, or at time of manufacture. 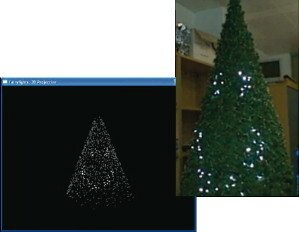 Location of lighting elements is determined through computer vision techniques. Each light beacons its address visually via a robust visual code. 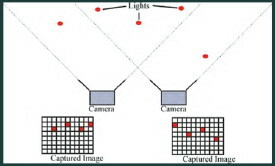 Digital cameras in the environment can then identify and locate the lights using similar techniques to those applied in CDMA networks, up to 250 lights can be calibrated simultaneously. Once calibrated, a digital model of the deployment is formed, that represents the location of all the light sources. 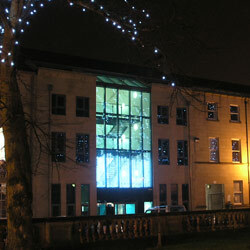 Three thousand lights create a stunning display for Christmas shoppers in Lancaster Ciy Centre. 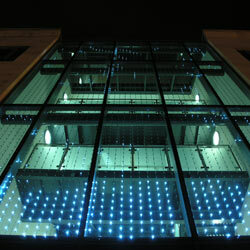 Rising three stories the 7m by 5m window at the for of CityLab in Dalton Square Lancaster is filled with light. Strings of FireFly units hang in fluid cascades making the largest display yet. The statue of Queen Victoria stands in the middle of Dalton Square ... what would she have said? Firefly launched at Knowledge Business Centre as part of one of the KBC regular Technology Matters series of breakfast events. Intense interest in the technology led to a dedicated breakfast event the following month..
School children visit InfoLab and see Firefly in action. 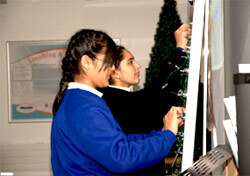 The SETPOINT event was targeted at girls from ethnic minorities in the Lancashire area.